The 1001 is a portable 4" shear with a guillotine style action. 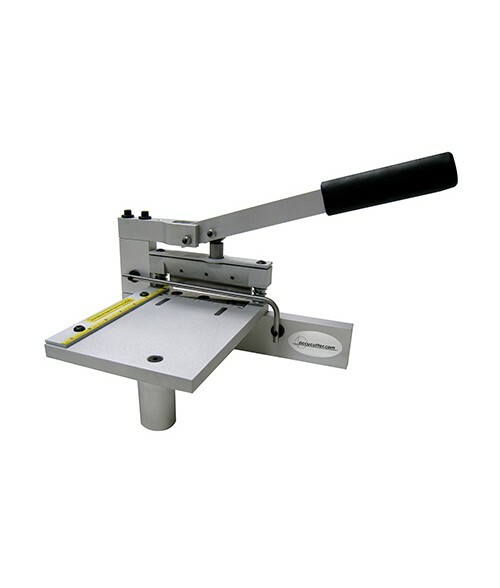 It is a unique, compact, original design by Accucutter®. The 1001's light weight, seven pounds, makes it easy to carry around the shop from one area to another while its guillotine style cutting action assure clean, flat, square cuts every time. The shear has a three point stance so it sits firmly on uneven work surfaces.